On October 18, 1775, [Portland, Maine] was destroyed yet again; Bombarded for 9 hours by The United Kingdom’s Royal Navy. Though American cities seem static, they have been a changing landscape since our ancestors came to the new world in the 1600s. Through fights and famine, storms and rain, New England holds the most history in the United States concerning conflict, and restructuring of it’s urban centers. Eastern cities were primarily built with wood, because it was less expensive than stone, and took less manpower. But, as Mainers would soon learn, wood burns quite easily. The Great Fire of 1866, which was ignited by 4th of July fireworks, nearly burned down the whole city, and left over 10,000 people homeless. Read more HERE. The HH Hayes Building (aka Flatiron Bldg), which was built in 1826, survived the fire in 1866. 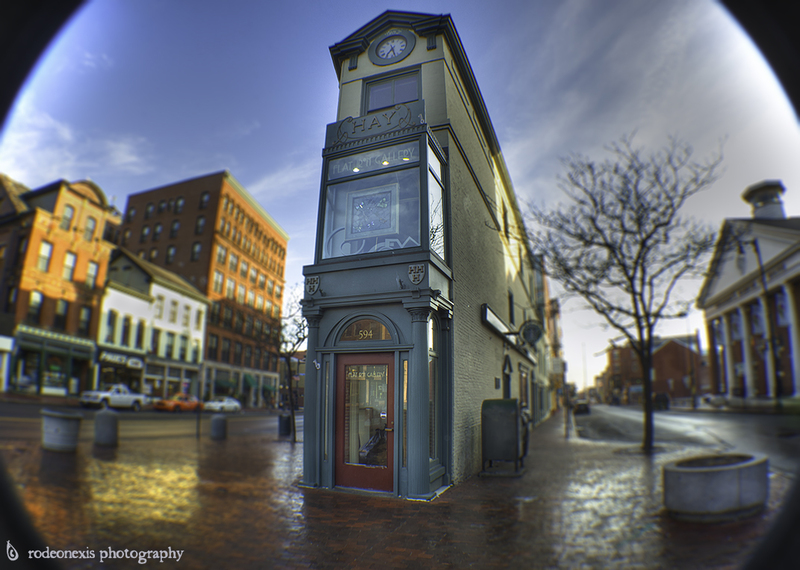 Congress Square, Portland, ME. Over time, we have seen our skylines change due to colonial wars and unyielding fires. At the turn of the 19th century, though, new factors began changing the face of American cities. Immigration forced urban centers to accommodate for more housing, and innovations in transportation allowed for rural citizens to get into cities faster. As these two elements mixed, wagon roads were redesigned to handle more traffic around buildings that suddenly seemed eccentric. Read more HERE. Thus, the birth of a sociotransportational phenomenon: the flatiron building! I’m just glad that this feat of architecture was built of brick while the rest of the city was burning to the ground.